In a day when God’s view of marriage is under attack and gender roles are hotly debated, this novel clears the muddy waters and allows the reader to vicariously experience the way in which these roles are worked out through life’s challenges, brokenness, and redemption. The Treasure of the Secret Cove promises to stir up discussion on issues of monumental importance for today’s families. Mystery, drama, heroism, villainy, greed, tragedy, murder, revenge, betrayal, heartbreak, and redemption can all be found in this masterpiece. From the beginning, you will find yourself in the midst of tenuous relationships that expose the hidden secrets of the heart. With rich imagination, Amy Le Feuvre has created a cast of colorful characters as she weaves together the themes of salvation and marriage. An independent wife and a self-absorbed husband, a tempted-but-pious parson amidst a village of greedy citizens, along with a daring plan, a concealed treasure, and a secret cove, will undoubtedly keep you in thrilling suspense. If you enjoyed The Hidden Hand and Ishmael, you can be sure The Treasure of the Secret Cove will exceed the standard you’ve come to expect from a Lamplighter book. It not only reveals a biblical ideal of marriage, it answers significant questions one might have concerning the true salvation of one’s soul. I REALLY enjoyed this book. I could hardly put it down the whole way through, but especially at the end! It teaches some very valuable lessons. From Anonymous of Mansfield, Missouri on 8/22/2018 . Recieved this upon request for my birthday. I have had a hard time putting it down. Probably one of my favorite Lamplighter books. From Anonymous of Capon Bridge, West Virginia on 7/28/2018 . 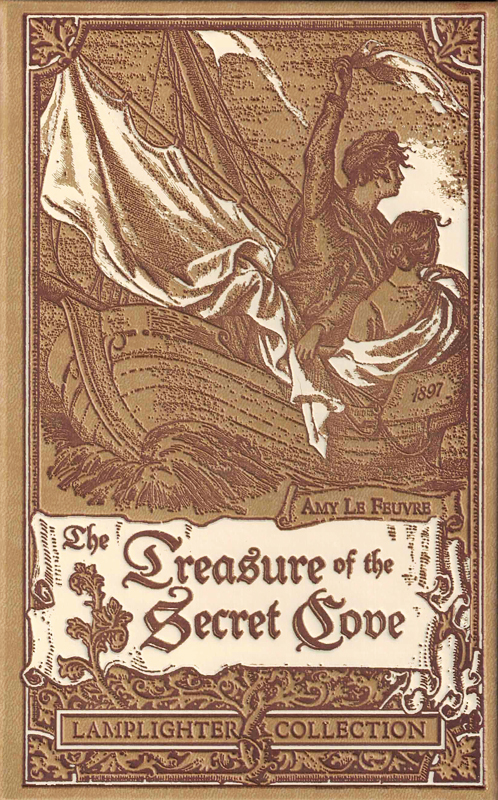 The Treasue of the Secret Cove was a highly interesting book. The plot sent thrills through me and I could not put it down! It was my favorite Lamplighter book that I have read. I recommend this to anyone who loves mystery, drama and excitement. An awesome book! From Jessica of Wiggins, Mississippi on 7/1/2018 . This is another wonderful Lamplighter book! It is such a sweet sweet story! I highly recommend this book! My sister, my Mom, and I, all love this story! It teaches many lessons clearly and appropriately. Thank you, Lamplighter! I could go on and on in my praise for this book. God bless! I loved this book! I have bought and read many Lamplighter books and this is one of my favorites. The relationship between the main characters was so good and it clearly taught the way to accept Jesus and get into the "Lifeboat." The title may be misleading, because the story isn't an action-packed mystery, rather it is about a husband and wife and their relationship with action infused in it. It is both a sweet and serious book.